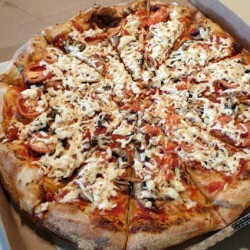 Spak Brothers is an awesome pizza shop in Penn Avenue in Garfield, awesome because they make delicious food and they are awesome neighbors who have supported lots of community initiatives. I know they kept many of the toy drive volunteers fed last Christmas. Due to a break-in and refrigerator break down, they have had a rough week. 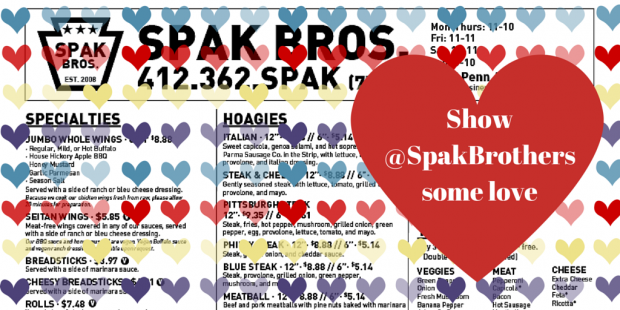 Spak isn’t asking for money, but you can support them by stopping by for some food. Spak will reopen at 5pm on Thursday and be open until Tuesday when the new fridge arrives. These small businesses are the heart and soul of this city, I don’t personally know the Spak guys, but I know they have contributed to this city, especially their neighborhood in many ways. Send a little love to this local shop by stopping by for a slice and sharing this with your friends on Twitter, Facebook etc.